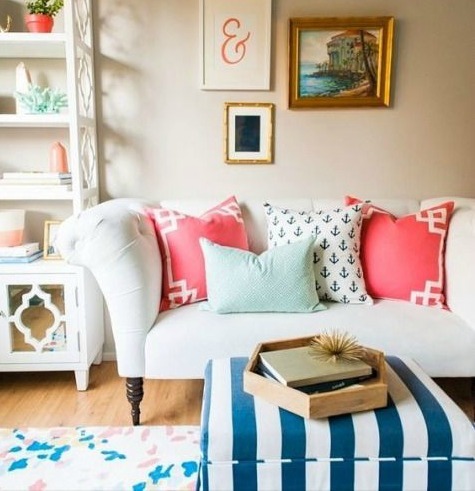 Ottomans are awesome, versatile accent furniture pieces that you can use as cushy leg rests, tables, seating and storage, wherever you need them. 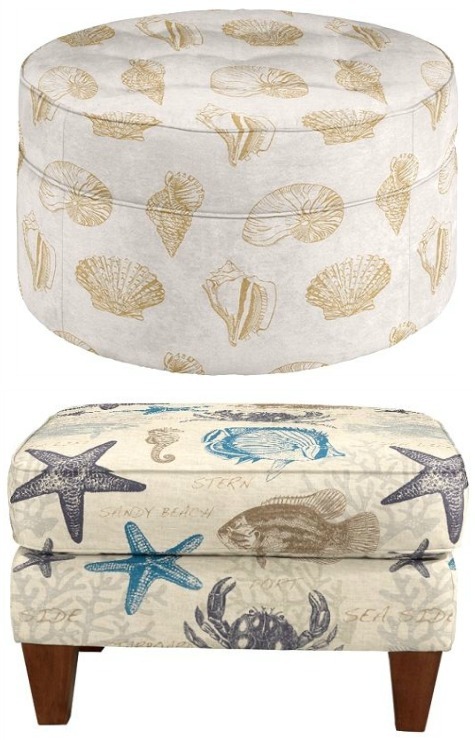 Here is a selection of coastal and nautical ottomans, DIY & from online stores. 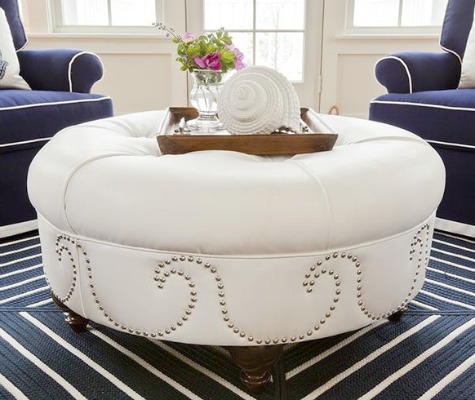 Faux Leather Ottoman with nailhead wave pattern by Nancy Boughton Design. Nailheads are a timeless classic design, traditionally used on the arms and edges of furniture. Draw the wave on paper, make the dots for the nailheads, then punch little holes through the dots. The dots will tell you how many nailheads you will need to make your wave pattern. Tape the pattern tightly around your ottoman, and let the hammering begin. 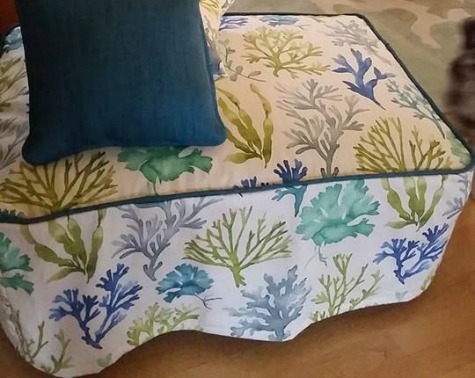 Ottoman makeover with Nautical and Coastal Fabric via Facebook. 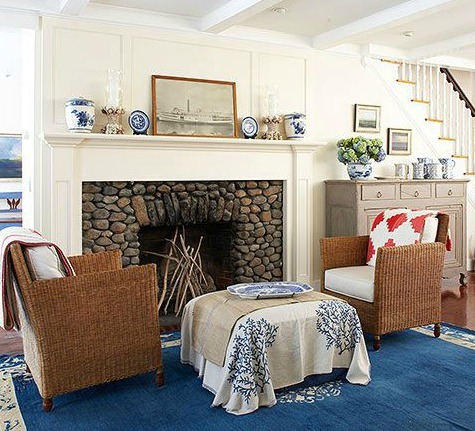 Bold blue and white nautical stripes by Designer Caitlin Wilson. 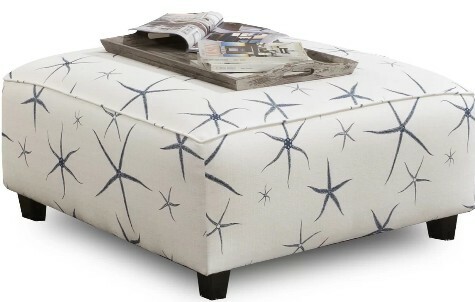 Coastal ottoman seen at Boston Design Guide. 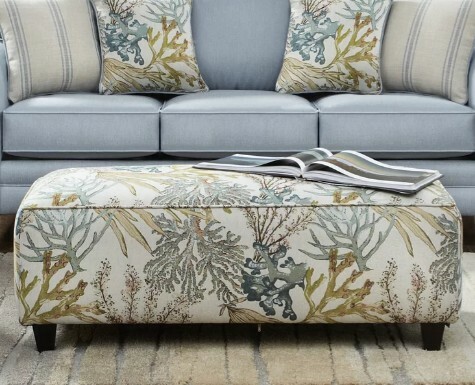 Easy coastal ottoman makeover by draping a Coastal Fabric over it. Via BHG. 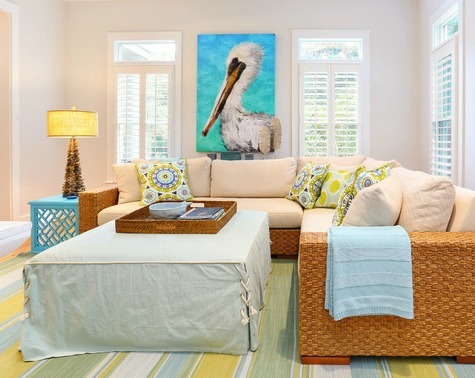 Slipcovered ottoman in sea foam green with rope detail via Houzz. 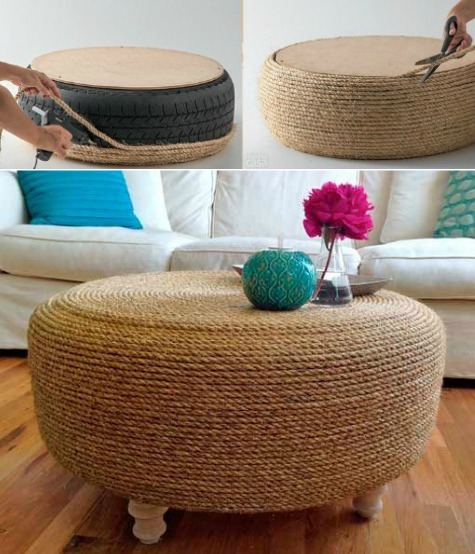 Transform a Tire into an Ottoman with Rope. Their ottomans can be ordered with coastal beach attitude. Their novelty line of fabrics includes three choices of coastal designs. 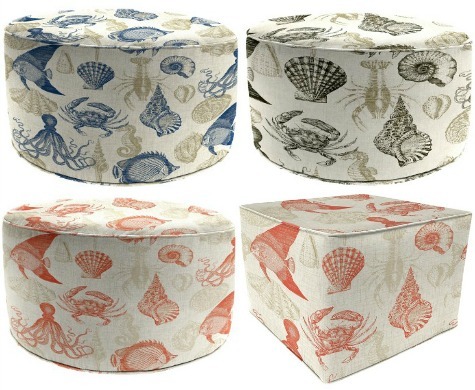 Round and Square sea life ottoman from Target's Collection. These coastal ottomans are on the smaller side, each available in two sizes, measuring between 15 and 17 inches in height.